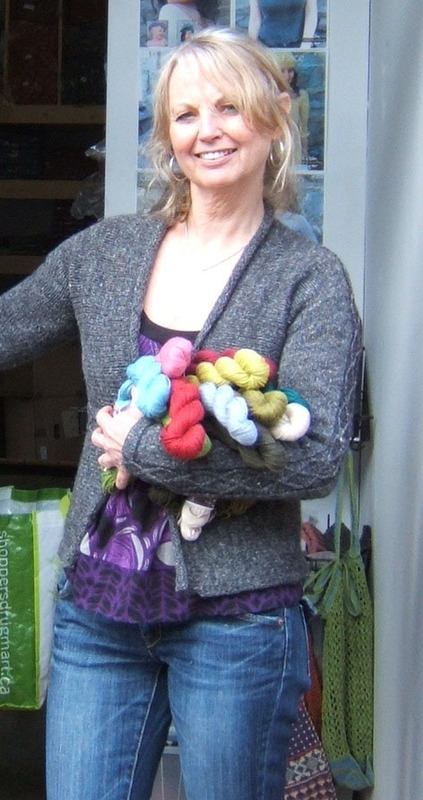 Once a week I post interviews with interesting Knitting Professionals about their insights on their experience of working in the Knitting industry. I’ve noticed that every one of them makes their living in a slightly different manner bringing their own unique presence to the Knitting world. You can find Lana here and here on Ravelry. Tell me how you got into the business of running a retail/wholesale yarn operation? The push (or gentle nudge) to start my own business came when the job I had for over 15 years had its funding cancelled. I had seen it coming for a few years so I’d actually started this new adventure taking wee baby steps while I still had a full time job. Do you run the business by yourself or do you have employees, if you do how many people work with you? Currently I have 1 employee and several contract workers. Tell me a little about your hemp yarn and why it inspires you. Firstly, it’s a natural fiber and I’m all about natural. I first started spinning hemp and really liked the yarn it produced. 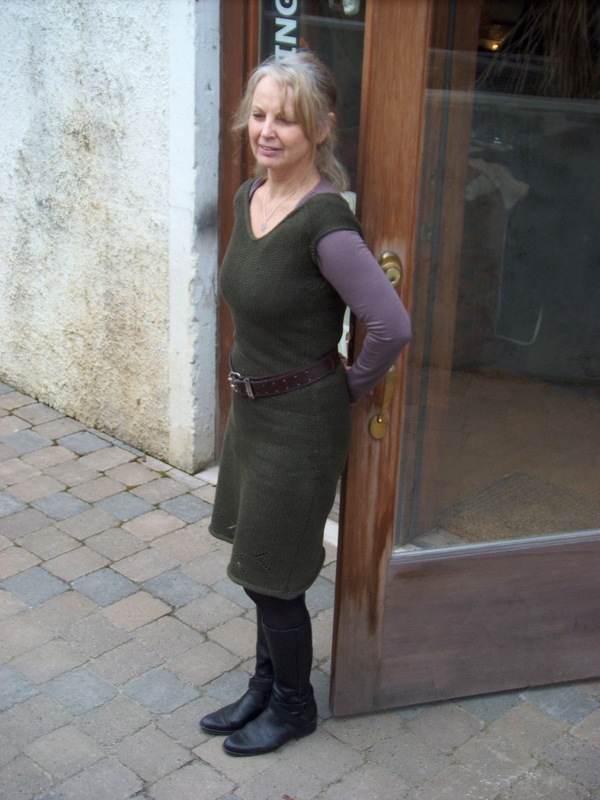 I knit a couple of summer tops and I was fascinated with the wear-ability. The fabric was cool, lightweight and had a wonderful drape. I like that it doesn’t pill and I like the fact that it will last a really, really long time. This all inspired my to design my own line of hemp yarns. What is the biggest lesson running this business has taught you? To always keep an open mind. Unexpected things can happen anytime and you have to be able to respond in a positive, businesslike manner. I’m still learning lessons all the time. What is your favorite part of what you do managing your business? My favorite part and oddly enough my least favorite part is decision making. I’m the boss so I have to make lots of decisions. There’s that little voice inside that often questions those decisions, but I’m getting better at forging ahead with the initial decision and shutting out that annoying little voice. I just recently returned from doing a show in California. It was encouraging to see so many knitters of all ages and abilities come into our booth and appreciate what we had. From what I experienced at this show, I feel the industry is doing well. There are so many “fearless” knitters out there just waiting to try something different. When I was first starting on this path, it was Judith MacKenzie who was my mentor. She was living in Nelson and teaching at the local art school. I took her classes and Judith encouraged me all the time. I would not be where I am today if it wasn’t for Judith. She gave me the confidence to go forward. Pretty much, just do “what you love and the money will follow” approach. Did you take any courses in how to run a business before you opened? Yes, I took a lot of business related courses, bookkeeping, website design, lots of computer program updates and more. We have a great entrepreneur program in our city and I was guided a lot by what they had to offer. I don’t think I’d be in business today if it wasn’t for the Internet. It provides instant information, contacts and much more. This is a tough one…being self-employed is pretty much all consuming. And, since I design and knit in my spare time, sometimes it seems like I’m always working. I do make sure I get to do my aerobic classes on a regular basis. It helps to keep be balanced. What advice would you give someone who wants to pursue a career in the yarn industry? Find your passion and the market for it. If you love what you do, it’ll all fall into place.